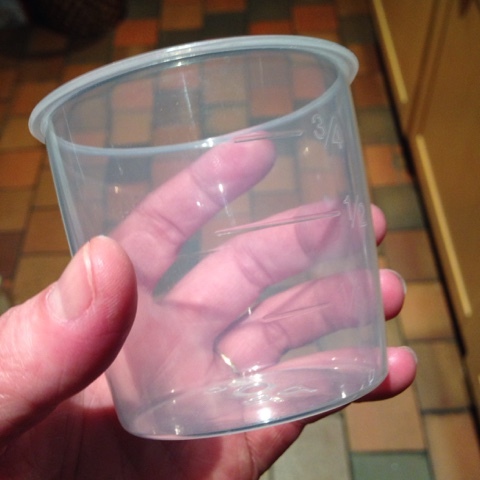 When I opened it for the first time I was pretty impressed with how compact it was and naturally fell in love with the little measuring cup ("don't lose this - it essential you use this and only this to measure rice") and a rice paddle. On top of that, after reading the instructions it seemed ridiculously easy to cook perfect rice right here in my own kitchen! A few days went by before I used it because there was no call for rice (eating fish and chips when my mum visits from the States is a must, you know!) but then the day came. 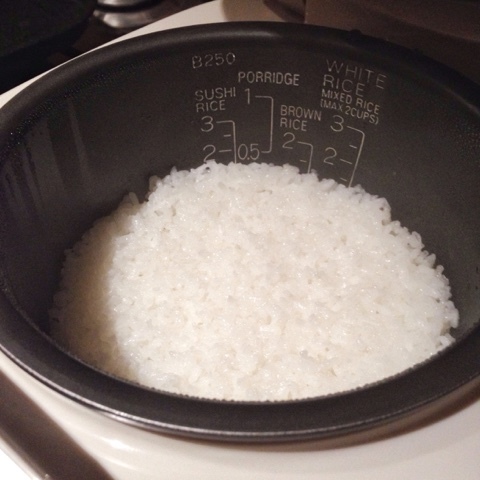 I poured over the instructions, slightly confused by the bad translation, not realising that all you needed to do was measure the rice using the sacred rice measure-er, put it in the cooker and then fill up with water to the number next to the type of rice you were cooking. One cup of rice, fill up to number one. 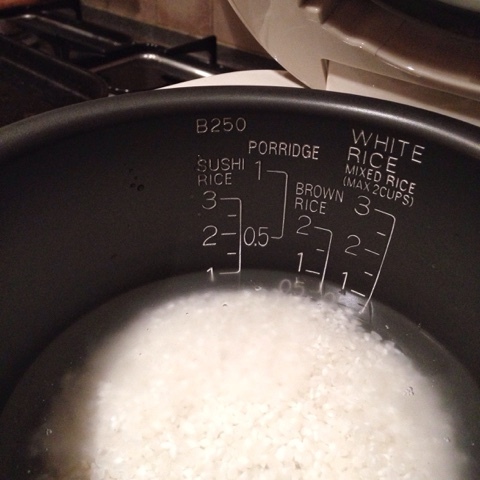 Press the menu button to select the right programme for the type of rice you're cooking and that's it! 30-40 minutes later you pop open the lid (you're not allowed to peek halfway through, by the way) and fluff up the rice using the paddle. If you're not quite ready to eat it there is a handy option to keep it warm until you're ready to serve. Am I converted? Yep! No more watery/stodgy/overcooked rice for me! Oh and guess what? 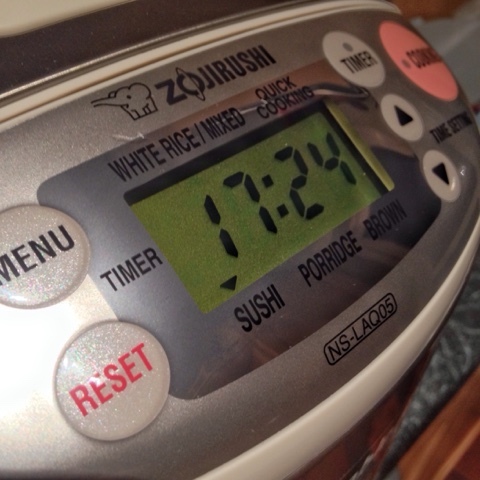 It has a timer on it so you can get everything ready in the morning and come home to freshly cooked rice! The booklet it came with had some basic recipes including one for "porridge" which I can only assume is for congee. 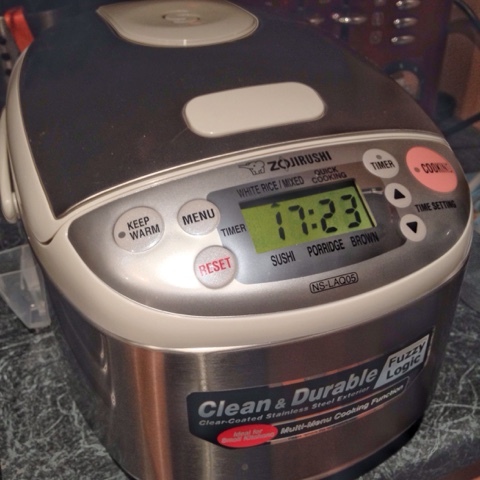 This is one of the things on my cooking "to do" list so maybe my little rice cooker can help me make it! I'm sure there are a million other ways to use it but need to spend time researching - do you have any favourite recipes using a rice cooker? So was mum right to go on about getting a rice cooker? Yes, she was right (but aren't mums always right?!). If you like the sound of all of this, have a look at all of the Zojirushi rice cookers available here - the one I've written about is the NS-LAQ05 model. Happy rice cooking! 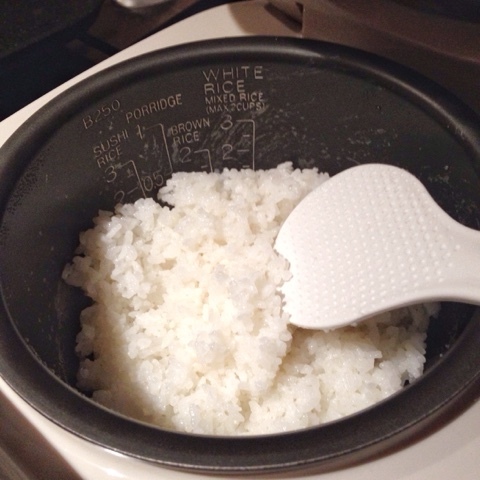 Rice cookers are a very popular appliance in Japanese and Asian households as rice is important part of most meals. The traditional method of cooking rice was time consuming and requires skill to get the right consistency. Electric cookers free up valuable time for the cook as all that is required is to fill the cooker with rice and water and set the cooker to the desired settings.